Yeast Infection Drug Treatment Chart - YeastInfection.Org by Eric Bakker N.D.
June 22, 2013 by Eric Bakker N.D. 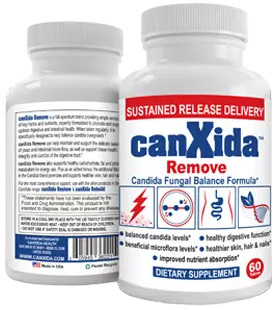 Oral Candida (thrush), affects mouth and throat, especially tongue. Discomfort, burning of mouth and throat; changed sense of taste; creamy white or yellowish patches on mouth or throat. Appearance & Symptoms. Diagnostic tests are utilized when the infection does not go away after treatment. Mouth rinses (Nystatin, Mycostatin). Lozenges (Nystatin, Mycostatin; Clotrimazole, Mycelex). Capsules (fluconazole, Diflucan 100 mg/day or Itraconazole, Sporanox 200 mg/day) Maintain good oral/dental hygiene. Avoid smoking and excess sugar.Weekly fluconazole. Throat Candida Can affect the esophagus (feeding tube) Chest pain, nausea and painful swallowing.Usually occurs with oral candida. Examination of oropharynx; endoscopy; culture and histology (cell). Ketoconazole (Nizoral) 200 or 400 mg/day or Fluconazole (Diflucan) at 200 mg once a day. In the event that several cases has occurred, fluconazole preventive treatment may be warranted. Skin Yeast Infections (usually affects skin in armpits, groin and under breasts) Bright red, uneven eruption in the folds of skin that may be coated with a white membrane; mild burning feeling. By appearance and symptoms. Diagnostic tests are utilized when the infection does not go away after treatment. Creams or ointments applied 2-4 times/day. Products include Clotrimazole Nystatin, ketoconazole, Miconazole, Econazole and Amphotericin B. Keep skin dry. Systemic Candida (affects organs throughout the body) Can be difficult to diagnose.Common in AIDS patients. Amphotericin B (Fungizone) orally or intravenously.